Great puzzle games come in all shapes and sizes. Grid-based classics like Tetris hold a special place in the hearts of many, while adventure game series and others have used problem-solving scenarios as the main barriers toward progress. They all share a common theme, though — the capacity to make you rack your brain as you figure them out. The very best puzzle games leave you pondering solutions or marveling at their designs even after you’ve set down the controller. The genre has evolved consistently, and developers have been finding new and exciting ways of teasing our brains, making us think, and stumping us entirely. It also helps that puzzle games are easily playable on mobile devices which has only helped skyrocket their popularity. Test your logic and patience! Fell Over is a fun arcade game – a physics-based puzzle that will test your nerves, logical skills and patience. The player must tap the blocks and eliminate them, so the ball can move downwards to the base of the block tower. Bringing the ball securely to the base of the block tower means you have beaten the level! The Fell Over game has a total of 99 different levels the player can enjoy! It is simple in design and gameplay but highly addictive and is certainly a brain pleaser! Fell Over is a great way to jog your brain when you have some free time. 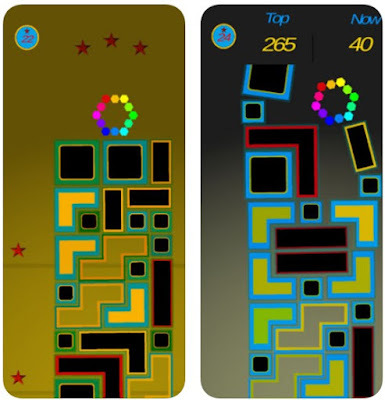 The levels are with increasing difficulty, so when you progress throughout them the get a lot harder. You can play the challenge mode where you can challenge your own best scores, your friends or other players. Fell Over is simple in design, with fun colors, enjoyable sound effects and music. If you were searching for a simple yet challenging puzzle game, you need to give Fell Over a try. You can find the Fell Over game available for free at both the Google Play Store and the App Store today!